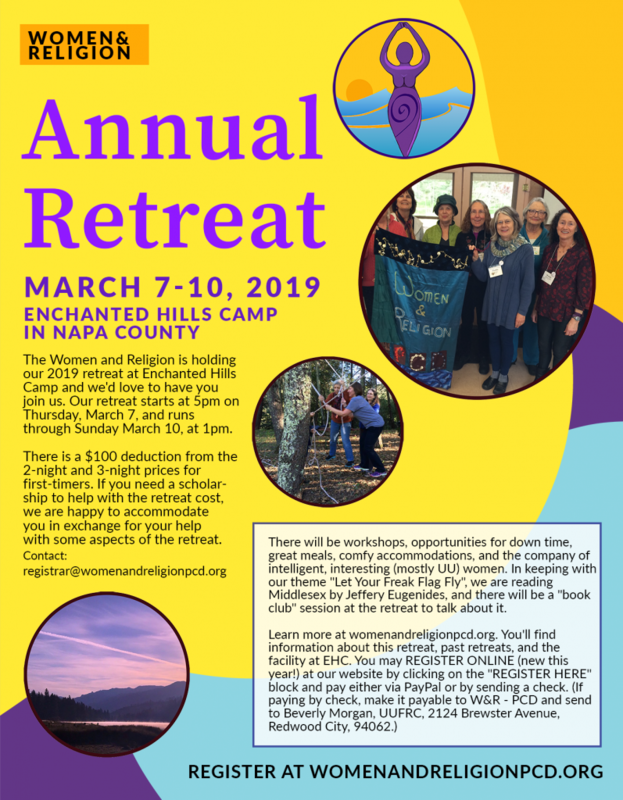 There will be workshops, opportunities for down time, great meals, comfy accommodations, and the company of intelligent, interesting (mostly UU) women. In keeping with our theme “Let Your Freak Flag Fly”, we are reading Middlesex by Jeffery Eugenides, and there will be a “book club” session at the retreat to talk about it. Hope to see you there! See organizers Bev or Sarah Skovlund with any questions, or to carpool.